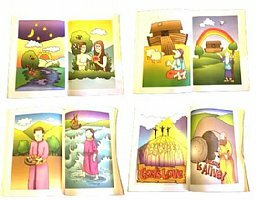 Bible Story (Colouring English Spelling) Coloring book is the finest on the market. This book has been shipped to us from Europe. Was created by Pastor Mark Foster that loves to present the gospel stories in a creative way. You are going to love it. This Coloring Book has 14 stories Old and New Testament designed for any teacher or creative ministries teams including Gospel Magicians in telling the key events of the Bible in both the Old and New Testament. 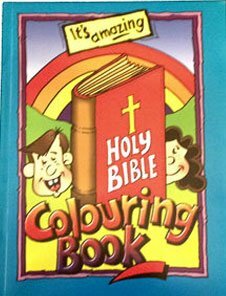 1) Bible Coloring Book is freely shown. The pages are fanned both ways and shown to be absolutely blank on both sides. The performer explains that many people lead empty lives. 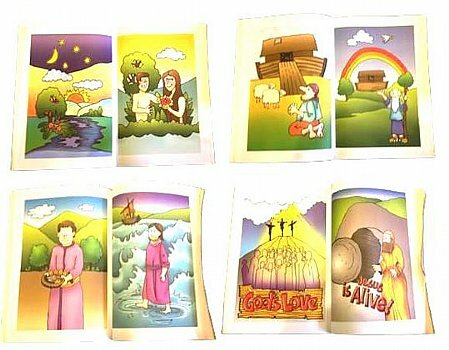 Other Bible Coloring Books show very little from the New Testament. The Gospel applications are obvious with this presentation. Easy to tie into many biblical stories, just pick the relevant illustration. You will always get a great response from the audience/ classroom & congregation. You will receive the Bible Coloring Book and written instructions. Every Creative Ministries should own one.